This video presents the core ideas from the paper. TMC 2014 celebrated the release of new national standards for school libraries. 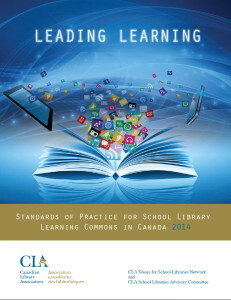 Leading Learning: Standards of Practice for School Library Learning Commons in Canada (2014) was published by the Canadian Library Association. Read my blog post about Leading Learning.